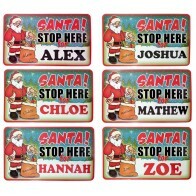 Santa Stop Here Christmas sign. Choose from the available names in the drop-down menu. Size: ..